Holiday Inn Žilina is located near the center of Žilina (hotel can be described as peaceful, despite being located in the main road of the city) Hotel can offer 2 smaller meeting rooms for 10 people, middle room for 60-70 people and a large room for up to 700 people. All are equipped with the most modern technical equipment. The hotel also has a spa, dry and steam sauna, fitness center and an outdoor tennis court. Hotel Dubná Skala ****, the only “boutique” hotel in the city, is situated right in the historic centre of Žilina. The hotel’s exclusive environment is characterized by its unique design, modern comfort and intimate atmosphere. The hotel offers luxury accommodation, wellness and conference services and has recently become a popular destination mainly due to its fine restaurant. Boutique Hotel Dubná Skala **** offers 34 luxury rooms and 3 exquisite suites to make your stay an unforgettable experience. 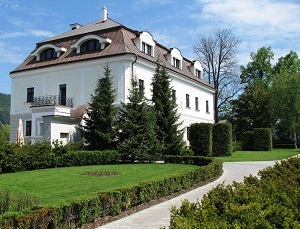 Hotel Villa Nečas is an extraordinary place near the centre of Žilina town. Historical building after complete reconstruction between years 2006-2007 got the character of stylish hotel with restaurant, wine-cellar, saloons and accommodation in conditioned green park. 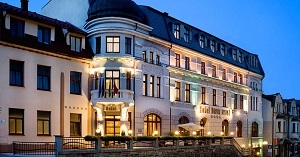 Hotel Villa Nečas is a member of Association of Historical Hotels of Slovakia. It is a group of hotels in manors, mansions and historical buildings. Hotel Villa offers to guests single-bedrooms, double-bedrooms, rooms with three beds and suites. 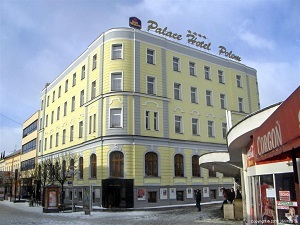 Hotel Dubna Skala **** is situated in the historic center of Zilina. 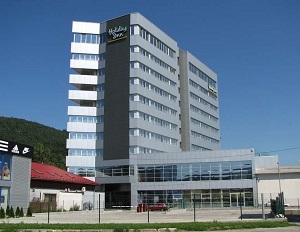 It is the only hotel with attribute “boutique” in the Žilina region. Here you will find exclusive environment created by a unique design, understated luxury and intimate atmosphere. Hotel Dubna Skala is popular thanks to creative pleasure gastronomy, The local restaurant has received several prestigious awards. The hotel also offers quality accommodation, conference and relaxation services.